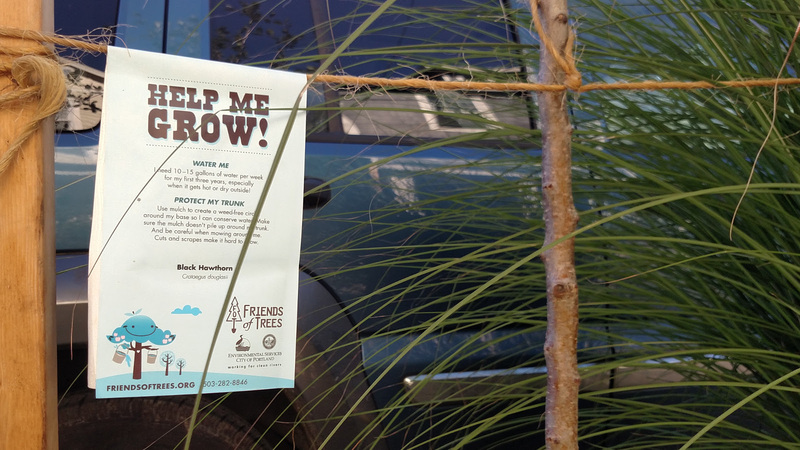 Friends of Trees suggests that newly planted trees need 10 – 15 gallons of water a week! It is best to do a deep soaking to ensure the water gets all the way down to the tree roots and promotes healthy root growth. With a hose it takes about 2 – 3 full minutes of watering per tree. Or, you can use the bucket method. Drill two 1/16 inch holes in a 5 gallon bucket. Fill it up and set it near the tree. The water will slowly trickle out providing a deep watering. You can also purchase an ooze tube to put around the tree. Fill it up then water will slowly ooze out to water the tree. Don’t let this happen! Water your trees. It’s been a dry spring, and summer is officially just a few days away. 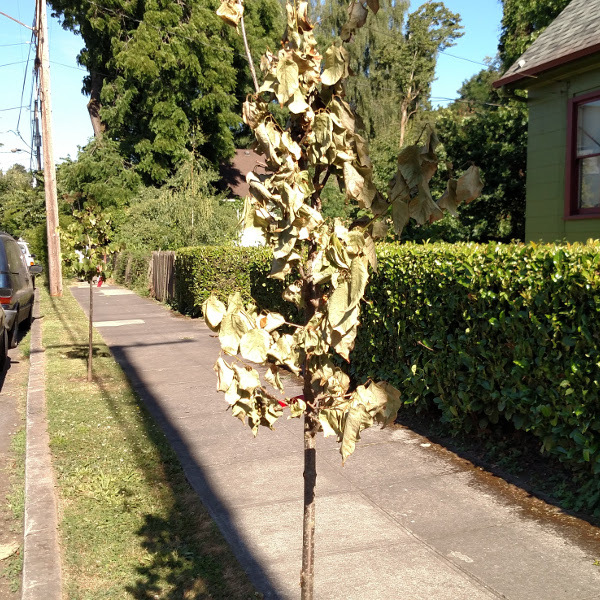 While enjoying the great weather, please take a moment to remember to water your new trees!